Subsequent years of research provided the empirical, physical and scientific evidence to substantiate, with the possible exception of only a few, the plasters were made directly from Degas’ original waxes, either during his lifetime or shortly after he died. This was confirmed by the Succession Degas which authorized bronze editions from the plasters. 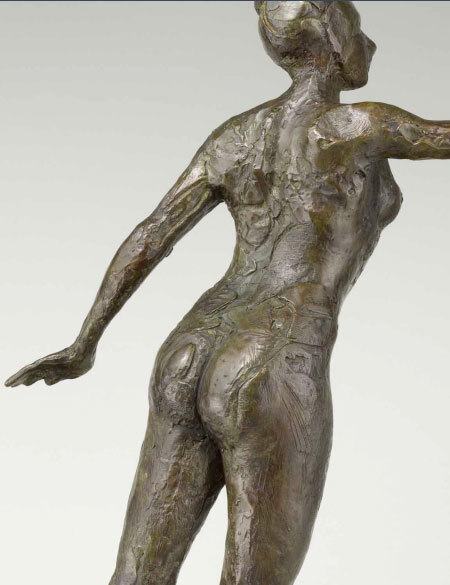 The plasters and bronzes were then authenticated by the Comité Degas. Since November 2009 ten museums, including the Tel Aviv Museum of Art (Israel) and the State Hermitage Museum in St. Petersburg, Russia, have held exhibitions of the Bronzes. Click here for the Case Study: Determining Authenticity Based on Physical Evidence. Additional information provided on request.